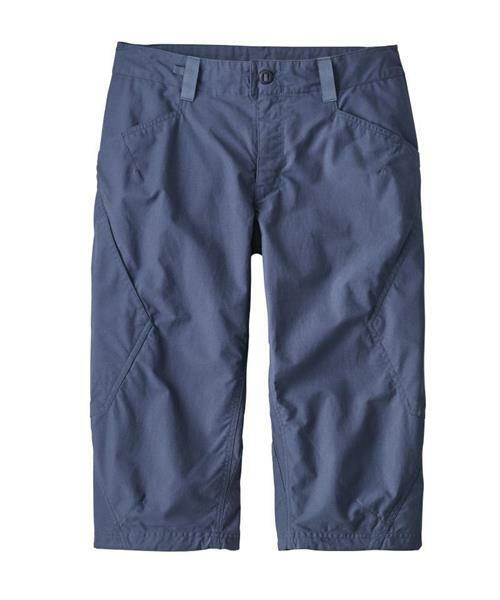 Patagonia's Venga Rock Pants move and stay comfortable through drop knees and high steps, and are now more durable thanks to the addition of polyester to the original organic cotton/spandex blend. Technical patterning includes a crotch gusset and a shaped cuff that’s slightly longer in the front to keep the knees covered with every high step and to avoid bunching in the back. The cuffs also have a shock cord and cord lock, and the unique, improved OppoSet™ adjustable waist (with low-profile belt loops) closes the separating zip fly and provides a customized fit. With two drop-in hand pockets, two rear pockets that reinforce the seat for durability, and a right-thigh patch pocket (with an interior Soft-Catch mesh envelope for securing valuables).